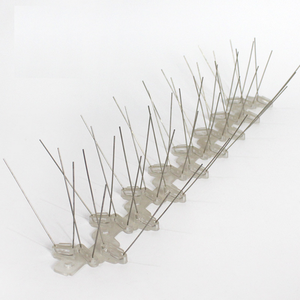 Dongguang County Xunchi Hardware Manufacturing Co., Ltd.
Q: Can you supply the sample 9 A: If we have sample in the stock ,we can send it very quickly . It will take more days if we need to open the mould for the sample . Q: Is the sample for free 9 A: We can supply the sample for free while the express cost is usually paid by customer . Q: How long is your delivery time9 A: Generally it is 5-10 days if the goods are in stock. Q: Do you provide samples 9 A: Yes, we could offer the free sample. Q: What is your terms of payment 9 A: We prefer T/T and L/C but other terms of payment are accepted. 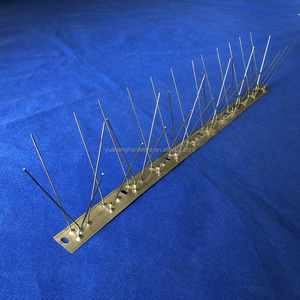 Length of base and angle of spikes can be adjusted as per clients' special request. 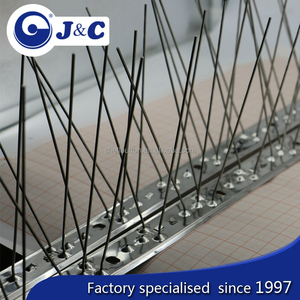 We also offer OEM service so you may send us your detailed request or drawings. 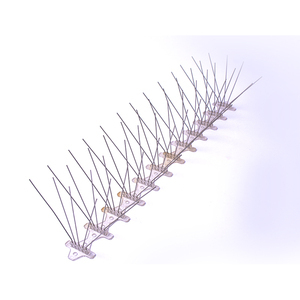 If you are interested in any of these bird spikes please feel free to contact us at any time. 2. Polycarbonate is transparent which is practically invisible include UV. 3. Cut recurring cleanup and repair costs with a one-time solution. 4. Protect buildings and equipment from corrosive droppings. More products If you like the following products, please click here or below the picture now. Related Products If you want to know about other products, click the picture below. 7.How About The Payment9 deposit, with balance clear after the order is finished. 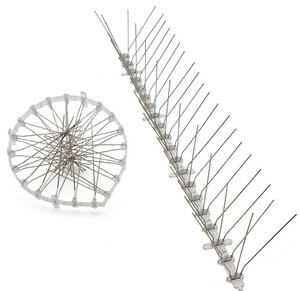 We use only the best quality (original) components to ensure the standard of our product range is of the highest caliber. Warranty: We provide after-sales service, including quality service, guidance services, We focus on customer needs in every detail. Q: Do you provide samples 9 is it free or extra 9 A: Yes, we could offer the sample for free charge but do not pay the cost of freight. 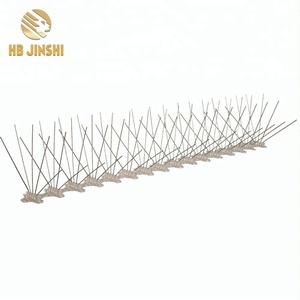 Stainless steel bird spikes Bird spikes is a kind of economical and practical product which can prevent birds from violating. 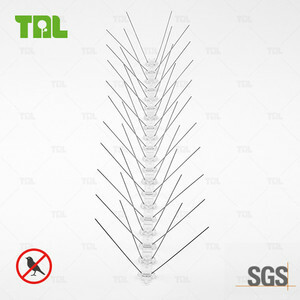 The bird spike is safe, effective, easy to maintain and with long service life. 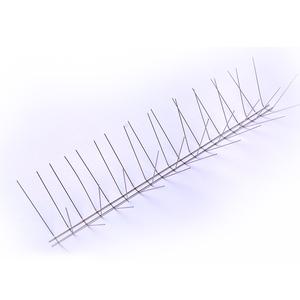 It is suitable for buildings that need protection, food factories, hotels and other places, which can be installed in walls, eaves, windowsills, balcony and so on. 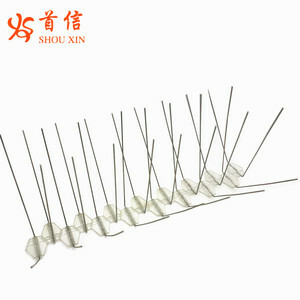 Alibaba.com offers 2,711 stainless steel bird spikes products. About 96% of these are pest control, 2% are barbed wire, and 1% are other garden supplies. 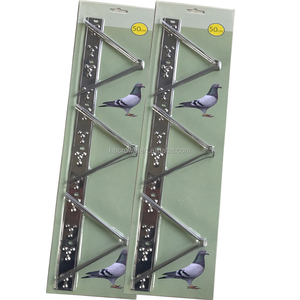 A wide variety of stainless steel bird spikes options are available to you, such as free samples, paid samples. 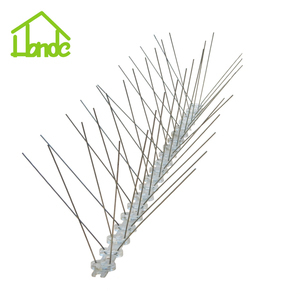 There are 2,729 stainless steel bird spikes suppliers, mainly located in Asia. 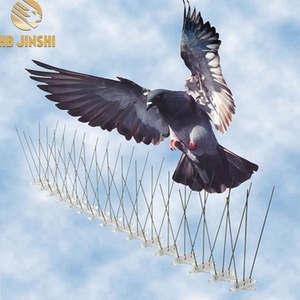 The top supplying countries are China (Mainland), Germany, and Turkey, which supply 99%, 1%, and 1% of stainless steel bird spikes respectively. 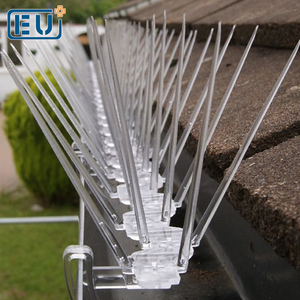 Stainless steel bird spikes products are most popular in North America, Western Europe, and South America. You can ensure product safety by selecting from certified suppliers, including 1,096 with ISO9001, 319 with ISO14001, and 25 with Other certification.